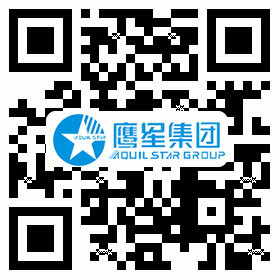 Aquilstar Precision Industry (Shenzhen) Co., Ltd. Was invested and established in 1999 in Shenzhen by the Light Of Asia (Hong Kong) International Co., Ltd. It is professional hi-tech factory for R & D, production, sales of plastic, charger, power adapter, LED driver power and so on. Since 2005, the company passed the ISO14001, ISO9001 system certification, and passed CCC, CQC, CE, CEC, FCC, UL, TLC quality and safety certification, improve the quality management system. From 2007, the company has been identified as “high-tech enterprises in Shenzhen city ". Now the company has professional design and management team, modern production equipment, high-precision mold equipment and testing equipment. Such as variety of advanced CNC machines, injection machine, laser radium engraving machine, AI machine, laser welding machine, automatic spraying line, dozens of automatic assembly line, equipped with full devices in laboratory and environment protection workshop of central air condition nearly 8000 square meters. To provide a strong guarantee for product manufacture and quality control, to provide a big support for the company's long-term goals. The Company provide a comfortable working environment, a completed welfare and a motivate mechanism to attract lot of talents, and always adhere to the management philosophy of "people-oriented, winning with quality" and "respect for customers and create value" service concept, relying on own advantages, continuous innovation, pursuit of excellence. To work hard for the first-class communication equipment elite, create the most influential brand in the industry.